The pOET1 Gateway™ vector combines the rapid and easy to use gene shuttling technology developed by Life Technologies Corporation with the one-step and highly efficient flashBAC™ recombinant protein expression system. 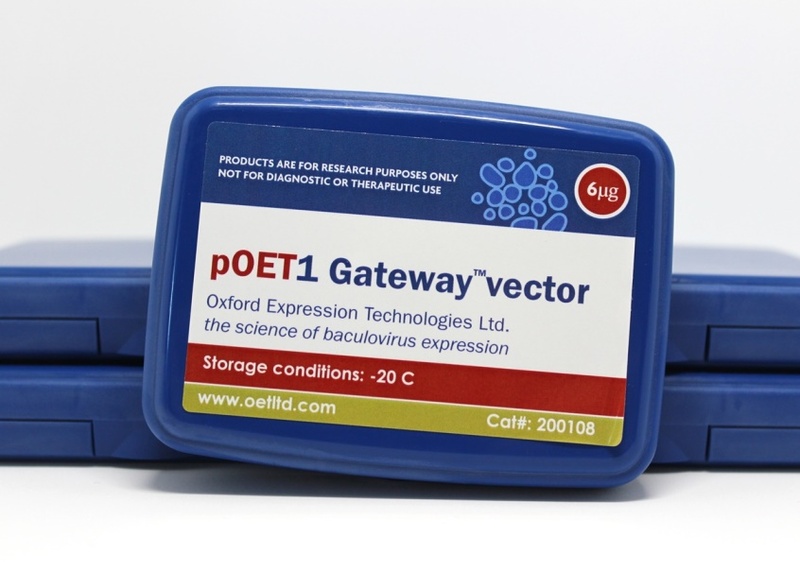 pOET1 Gateway ™ (cat# 200108) (6ug) is a baculovirus transfer vector designed for high level expression of foreign genes under the powerful AcMNPV polyhedrin (polh) promoter. The polh sequences have been replaced by a cassette containing the ccdB gene (the CcdB protein inhibits growth of most E. coli strains by interfering with DNA gyrase) and chloramphenicol resistance gene between two different attR sites, which enables LR recombination to replace the cassette with the gene of interest from an entry vector in the correct orientation. It also contains a bacterial origin of replication and an ampicillin resistance gene for selection in E. coli (E. coli strain must be resistant to CcdB effects, such as DB3.1™). The AcMNPV sequences flanking the gene in the transfer vectors MCS allow recombination with the viral DNA to insert the expression cassette into the polh locus. 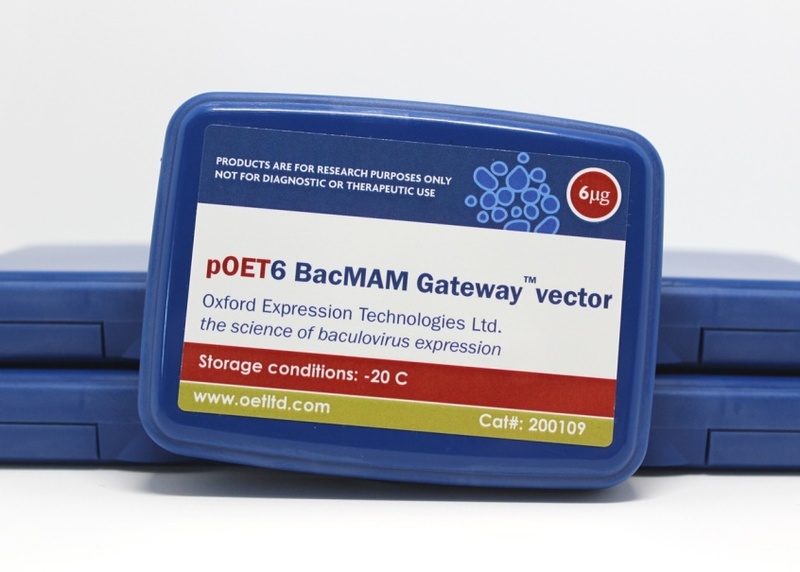 pOET1 Gateway ™ is compatible with any baculovirus system that utilizes homologous recombination in insect cells. pOET1 is the original transfer vector that does not combine the Gateway ™ technology.